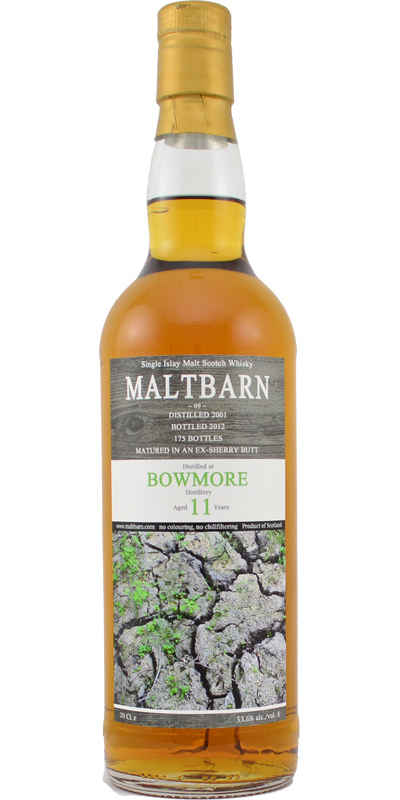 This is a very good Bowmore with an excellent nose. Perfectly balanced. The palate and the finish are a bit rougher and have more of an edge to them. A beautiful mix of sherry and peat. Both very, very subtle. It smells salty and smoky with bacon, cherries and other red fruit. Also some crème brûlée and vanilla. This is perfectly balanced and appears to be much older than 11 years. 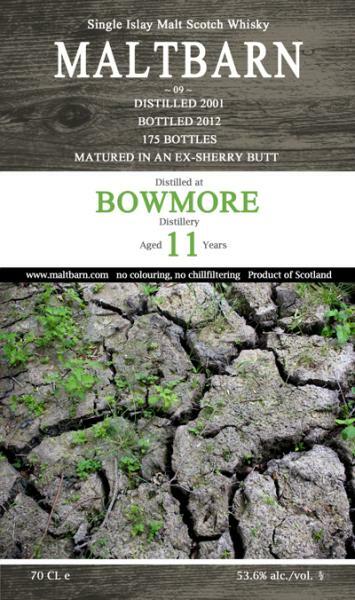 This is where this Bowmore shows its true age. The flavours are more harsh and less subtle. Some medicinal peat and iodine. More maritime than the nose, with a bit of ash added to the mix. Also some sherry notes with raisins and prunes. Very long with less sherry and more ash and salt. A delicious and rather complex whisky! Quite complex, but very well balanced. The alcohol plays the leading role, but never takes over the stage. Excellent. A "modern" product, well made and not aging (some traces of bitterness in the mouth suggest a certain youth, but it is not embarrassing). Very sherry, expressive and modern. Wood, vanilla, lots of caramel, crème brûlée, hazelnut. A marine tip. The nose announces something greedy. Oily, oily, greedy. Sherry is associated with iodine notes. We find caramel, crème brûlée, vanilla, dried fruits. Alcohol is very well integrated. Sweet, vanilla. Caramel and dried fruits.